Kale, our favorite “headless” wild cabbage, has been hot for a few years now. Everywhere you look there is kale on a menu or some recipe substituting and selling kale as the “it girl” new leafy green. The beautiful ruffled dark green leaves may stand in for basil, spinach, or mixed greens in some recipes…and it loves to be added to smoothies! I’ve snuck it into many fruit smoothies and the kids have no idea! 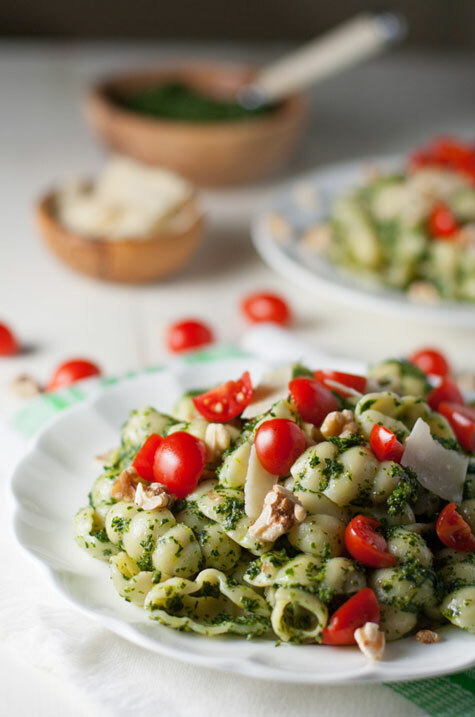 🙂 Kale and Walnut Pesto highlights its versatility and is one of my favorite versions of pesto as you normally think of it. So “what the kale”? What is all the fuss about? I’ll never forget ordering a kale salad with some friends as a side dish at a local restaurant a few years ago. It seemed like a novel idea at the time. “Isn’t this interesting?” we thought. It was then the love affair began. It can be eaten raw, blanched, or roasted. It can be enjoyed alone but loves to socialize with other ingredients and foods! Does this make you want to go crazy for kale? One of my favorite food blogging friends, Julia Mueller, has written a great cookbook featuring this superfood, called Let Them Eat Kale! When you read her recipes, you will be a believer. You will immediately head to the store to pick some up! Julia is a health nut and has been blogging about it for a long time. You can see what I mean by checking out her blog: The Roasted Root. Don’t you just love the name? 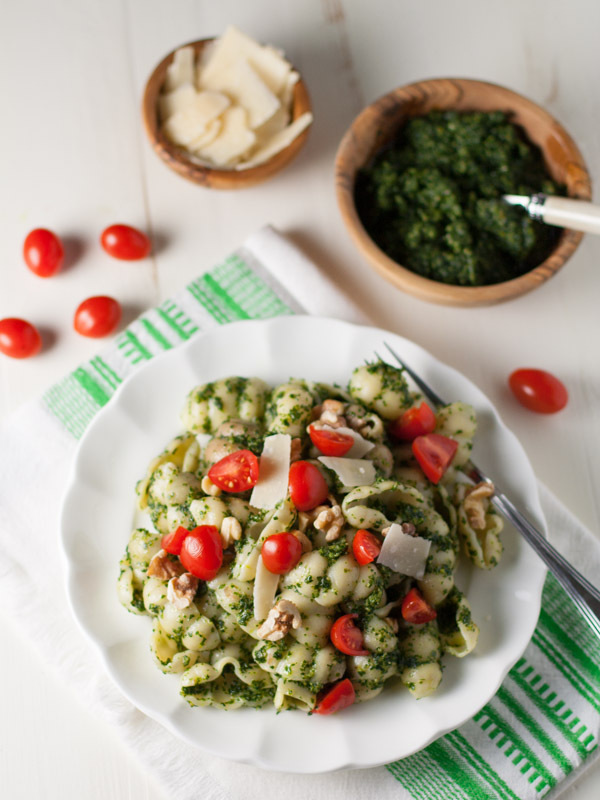 The flavor of Kale and Walnut Pesto is mild, smooth, and easy on the palette. It’s the kind of tasty experience that makes you want to finish the bowl and get in line for seconds. But the real bonus is the nutrients this pesto delivers– and the BANG your health gets the day you decide to give it a try! And if you like this, you’ll probably like my Butternut Squash and Kale Cannelloni too. 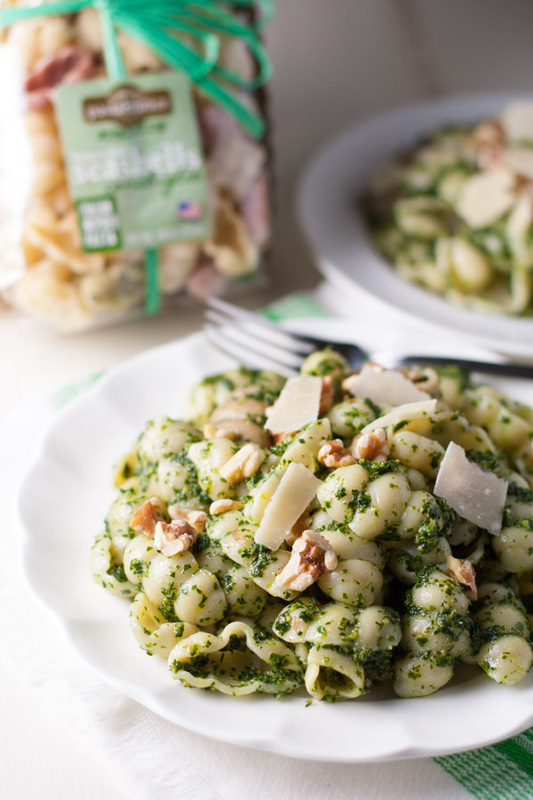 Short pasta shapes are a perfect accompaniment for pesto. 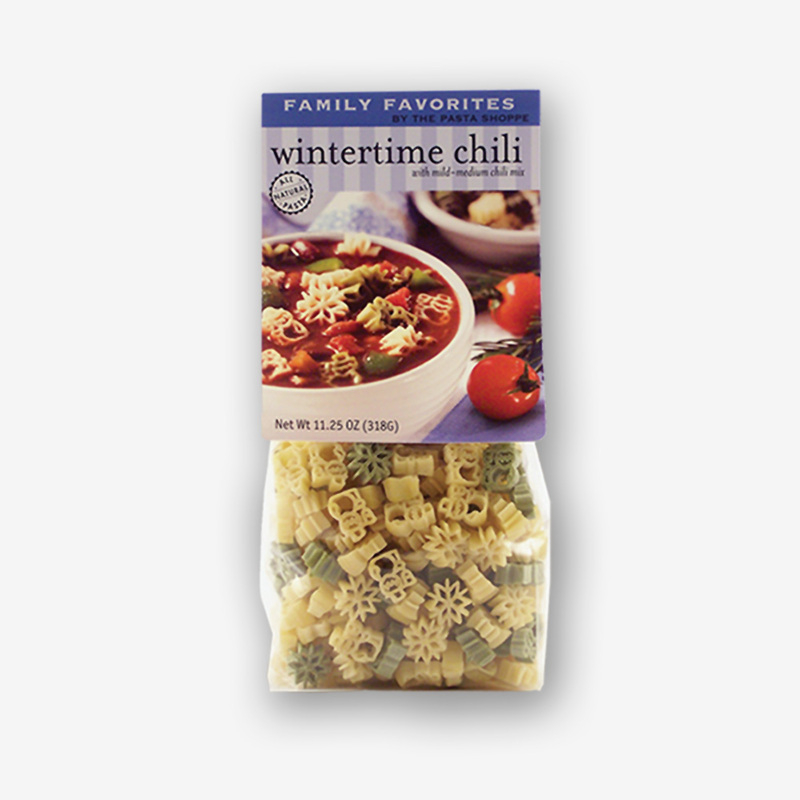 You can coat your pasta lightly and still get a mouthful of flavor. So this pesto goes a long way. 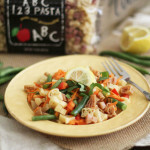 I featured our Italian inspired Seashell Pasta shape, but you may substitute any other short shape: penne, rotini, etc. 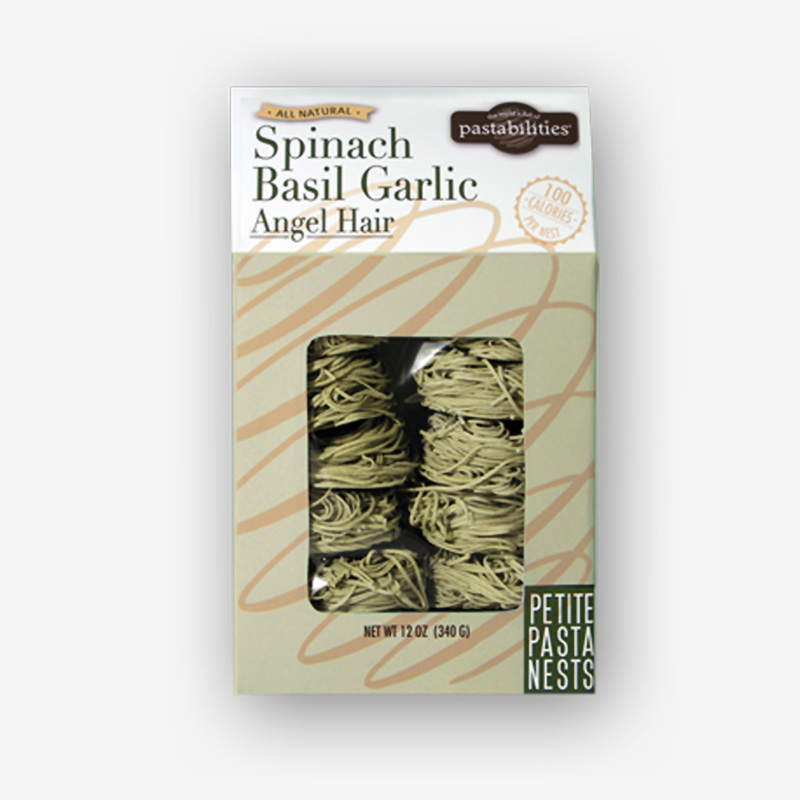 The curls, holes, and waves help capture the nuggets of pesto flavor! 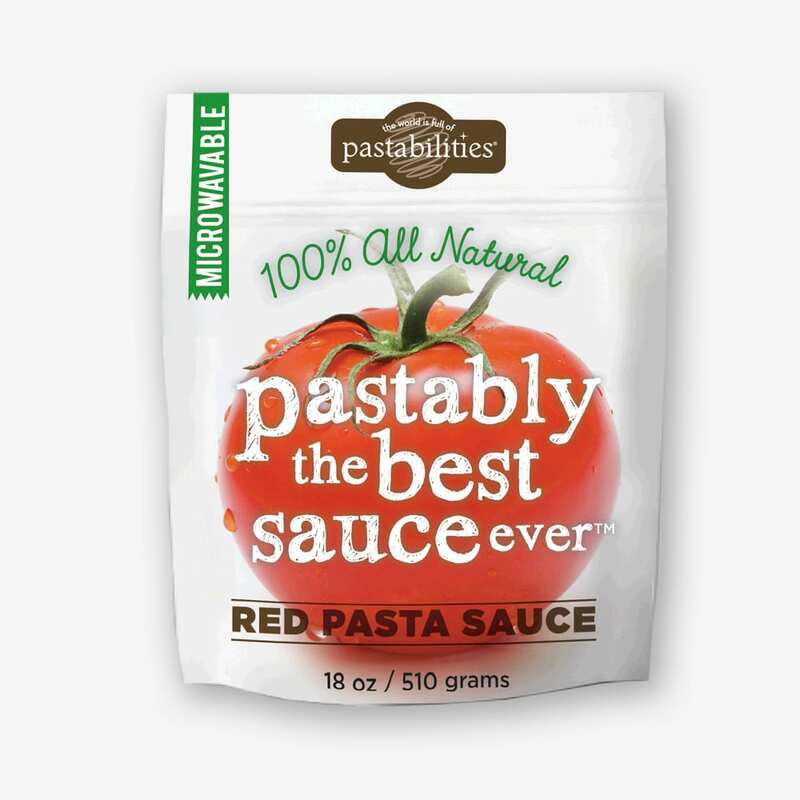 If you are interested in our pasta selection, please visit The Pasta Shoppe. 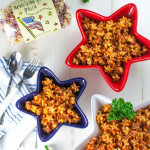 And if you have any fundraising needs, you can check out Fun Pasta Fundraising. We’ve love to hear from you! 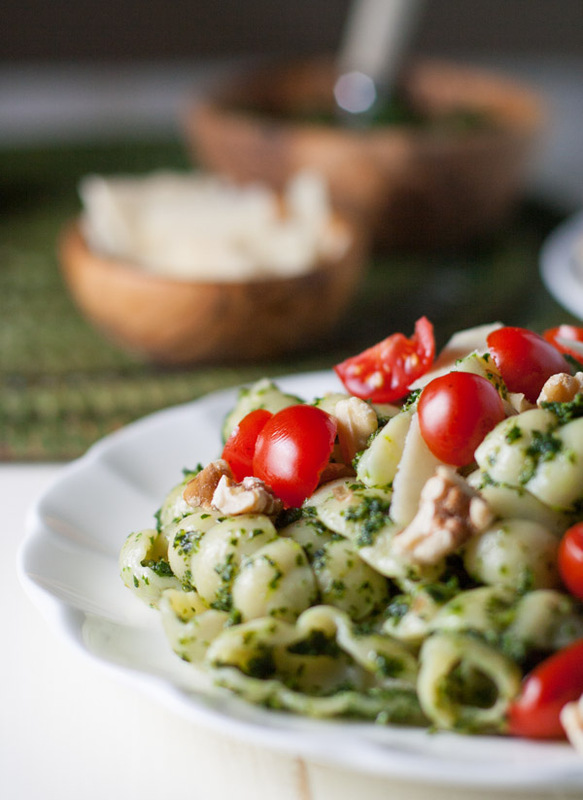 Delicious and nutritious pesto that is mild in flavor! 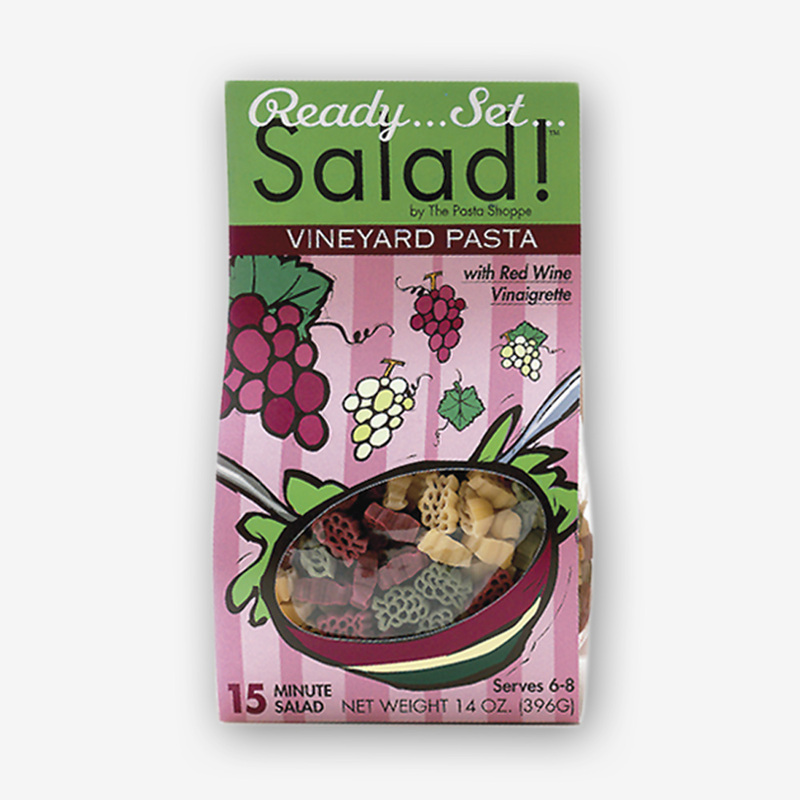 Perfect for pasta, sandwiches, pizzas, and more! Toast walnuts on a foil lined baking sheet, at 350 degrees, for about 5-6 minutes, until fragrant, tossing occasionally. Chop and set aside. Blanch kale in large pot of salted water for about 1 minute. Drain in colander. When cooled off enough, squeeze excess water from kale. Combine kale, ⅓ cup walnuts, cheese, garlic, salt and pepper in a food processor until finely chopped. Slowly add olive oil in a steady stream though the tube while machine is still running and until the pesto comes together. Cook pasta per the package instructions. Drain but do not rinse. 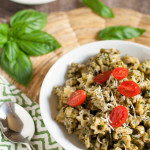 Place pasta in bowl and gently toss pesto to coat shapes. Serve topped with toasted walnuts, extra cheese and halved tomatoes. Pesto can be made and frozen. If so, cover the pesto at the surface with plastic wrap to prevent discoloration before freezing. Some people like to fill ice cube trays with pesto for pre-portioned amounts. If so, freeze cubes, and then pop the cubes out and put into another freezer bag for your next pesto craving! Kale? Kale????? Carey , you make me give it a try! I always feel so healthy when I eat Kale, and I am in need of more Kale recipes! Thank you! !